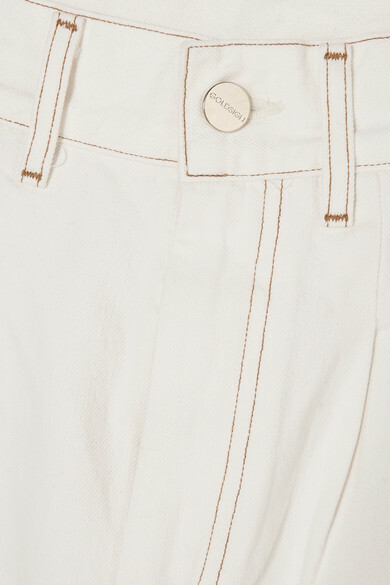 Almost every pair of Goldsign jeans is influenced by '90s minimalism, and nothing recalls the era quite like the wide-leg silhouette of this 'The Trouser' pair. 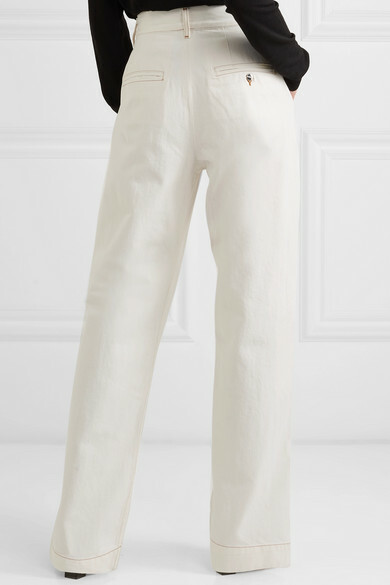 They're cut from denim for a loose fit, with a super high rise that helps to elongate your form. 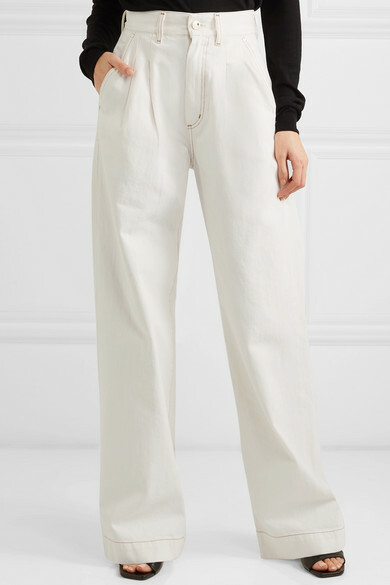 The optic-white hue will suit this season's new neutrals trend beautifully, so tuck in a beige sweater or layer a camel coat over them. 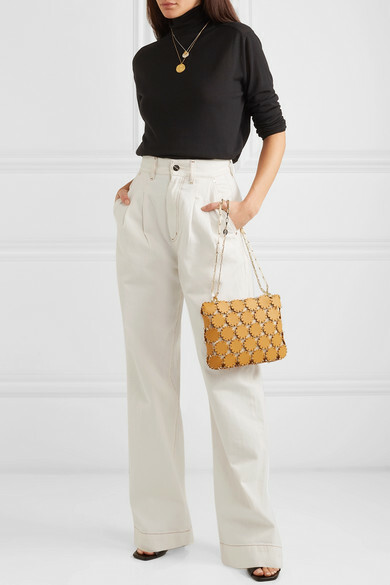 Shown here with: Stella McCartney Sweater, Paco Rabanne Shoulder bag, The Row Mules, Alighieri Necklace, Sophie Buhai Earrings, Sophie Buhai Rings.